For a most sophisticated look, this contemporary styled jacket will compliment you in every way. The fashionable collar styled assymetrically along with the bronze-like snaps set the tone for this classic look. The extra fancy double stitching, side pockets and wide sash gives this coat a uniqueness that you desire. Perfect for all figure types. Nice winter coat! May 17, 2018 Very warm and thick. Recommend for winter. 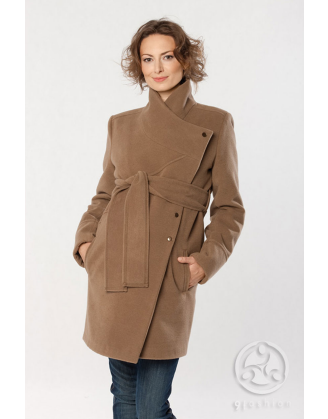 Soft material, and overall a beautiful coat!